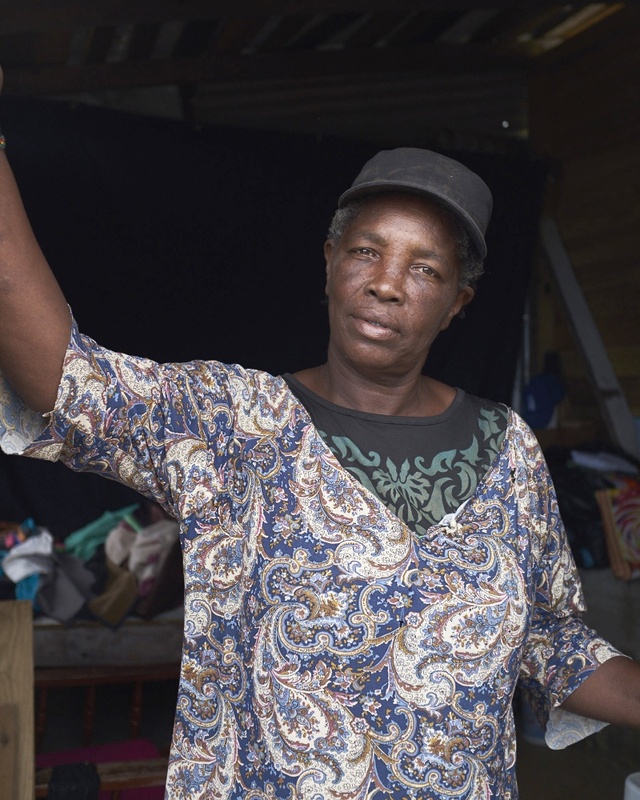 Blandina Joseph endured Hurricane Maria for eight hours in her uncle’s house in the district of La Plaine on Dominica. The both of them huddled in the bathroom for the little protection that it offered. During the eight hours of wind and rain, they held containers over their heads to try to keep some of the water off but everything still got soaked. When she returned to her house everything was gone, she slept for two nights in her local church before being offered temporary shelter in a friend’s home. Far from an ideal situation, and with her privacy gone Blandina was desperate to return home. When the hurricane came I was at my uncles home, we were sitting in the living room when we heard a big noise… BOOM. Everything was gone and there was no roof. All we could see was sky, we had to go and hide in the bathroom. There was so much wind, so much wind and so much noise. Blandina was provided a ShelterBox relief tent which enabled her to leave the cramped conditions of her friends small home. She was able to stay in the tent on the site of her demolished home whilst materials were sought and a new structure built. She was also able to continue work on her extensive garden next to where her tent was pitched. The garden provides a source of food and income for her, work would not have been able to continue due to the location of her temporary accommodation. These lovely people from ShelterBox came and set up a tent for me which I was so happy about. I love the tent so much as it allowed me to return home, and to my work on my vegetable patch with my tomatoes and cabbage. It helped me to be able to build my new home whilst I stayed in the tent. I am very thankful and happy for this.